This week’s album has been on a steady repeat at my house since it dropped on June 22nd. With seven tracks it lands comfortably between a full-fledged album and an EP. Hailing from Tyler, Texas, Paul Cauthen’s rich, velvety baritone seems to be from another time, evoking legends such as Johnny Cash, Waylon Jennings, and even Elvis Presley. In true outlaw fashion, Cauthen has had his share of troubles which have resulted in numerous songwriting benders of sheer honesty. His debut solo album, My Gospel, in 2016 was just that. His story. His sermon. His eclectic sound. In his official bio, Cauthen says that he’s “a singer not a preacher, but these songs are my sermon. We’re ripping each other apart out there, and forgiveness and mercy are what’s going to get us through.” Have Mercy expands on that while seeming to carry dual themes of kindness and redemption for both mankind and Cauthen himself. This album is absolutely packed with timeless, universal, and politically charged soulful songs. Have Mercy opens with a percussive “Everybody Walkin’ This Land.” The first time I heard this song it felt as though Cash had come back to set us all straight, calling each and every one of us out. 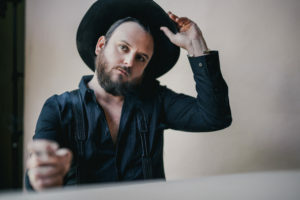 With this song, Cauthen highlights the things that divide, but don’t define us, and reminds us to bring a little humanity back into our lives. “Resignation” is about resigning from one way of life and coming into the light, whatever that light may be, for the better. It’s all about making a change. The song is very uplifting and of every song on the EP, is the one that frequently finds itself floating through my head. The title track “Have Mercy” explores the compassion and sympathy we should aim to pass on others rather than passing judgments, while “My Cadillac” is all about letting go, joyriding, and having fun with friends. It should also be mentioned that Cauthen drives a 1964 Fleetwood. “Tumbleweed,” seems to be about a free-spirited, wandering woman, reminding me of Kenny Rogers’ “Lucille.” Though the two songs are nothing alike, the frustration and desperation are apparent in the voices of each man. “Lil Son” is the only solo write on the album and is very near and dear to Cauthen. “He always talked about legacy. That’s the only thing we have. 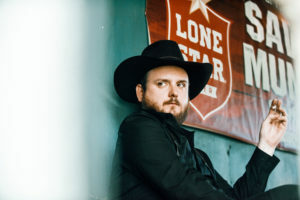 What are they going to say when you’re gone?” Cauthen tells Rolling Stone Magazine about his preacher grandfather, an important figure in his childhood and the muse for the song, stating on his website that this song is a message from his granddad. 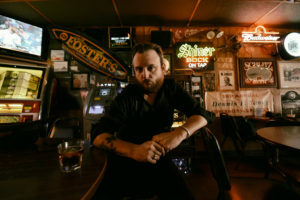 Cauthen explains that “the lyrics come from riding around with him in his jeep when I was a kid, just listening to his instructions and learning from his morality.” You can feel the pride Cauthen had for his granddad in the intensity, emotion, and power in his voice. It seems as though he evokes the fourth generation preacher to pass the message along to us. Finally, if there were ever a song to evoke the spirit and sound of Elvis Presley “In Love With A Fool” would be it. This song is timeless and tender. Led by piano and graced with a saxophone, it’s everything good about a time when country, jazz, and rock and roll seemed interchangeable. Understandably, it might just be my favourite song off the seven-track EP, and the perfect way to close. I’ve been desperate to hear new music from Cauthen since stumbling upon him a few months back, and boy did he ever deliver. Which, I suppose, has only left me longing for more. 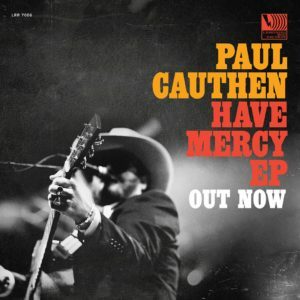 If you’re looking for something with a bit of a twist, Paul Cauthen would be your man. What are you waiting for? Get on the bandwagon already!